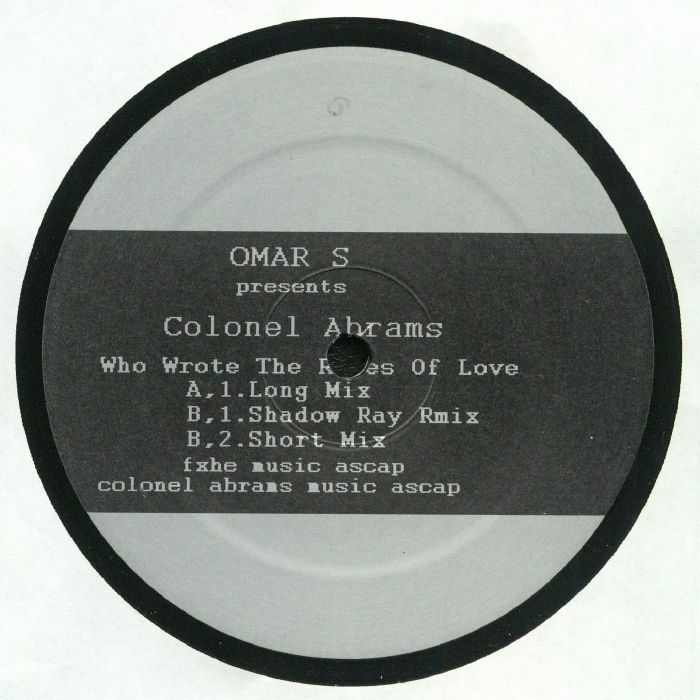 OMAR S feat COLONEL ABRAMS Who Wrote The Rules Of Love vinyl at Juno Records. Omar S is clearly having fun this year - the subtle euphoria of "Here's Your Trance Now Dance" was followed by a new studio album, released recently with about six days notice - and now he's popped up with a new 12" featuring Colonel Abrams on FXHE. The legendary urban crooner turns in a typically soulful vocal turn on "Who Wrote The Rules Of Love", which comes in three versions: two R&B mixes (short and long) and a remix from Shadow Ray. It's the Shadow Ray tweak that will turn on the house heads, with a beefy acid line and chopped up vocals forming the backbone of the arrangement. Those who get in quick can grab the lovely coloured vinyl version!